Skoda has revealed a lightly disguised concept of its upcoming ‘Kodiaq’ large SUV ahead of its public debut at the Geneva motor show. Badged the VisionS, the concept comes with three rows of seats offering space for six passengers. 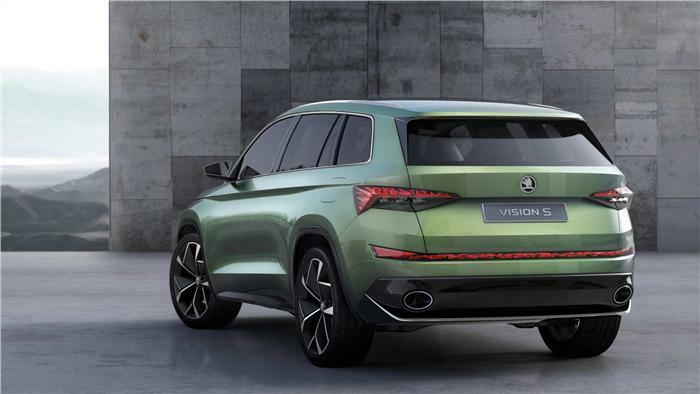 Measuring 4,700mm long, 1,910mm wide and with a height of 1,680mm, the SUV concept is powered by a petrol-electric hybrid powertrain – a 154bhp 1.4-litre petrol motor paired to two electric motors, a 54bhp gearbox-mounted and a 114bhp rear axle-mounted motor. Total system output for the hybrid powertrain is rated at 222bhp and gives the car a so-called ‘smart’ all-wheel-drive system without the need for mechanical coupling. Power is channelled to the wheels via a six-speed DSG gearbox. 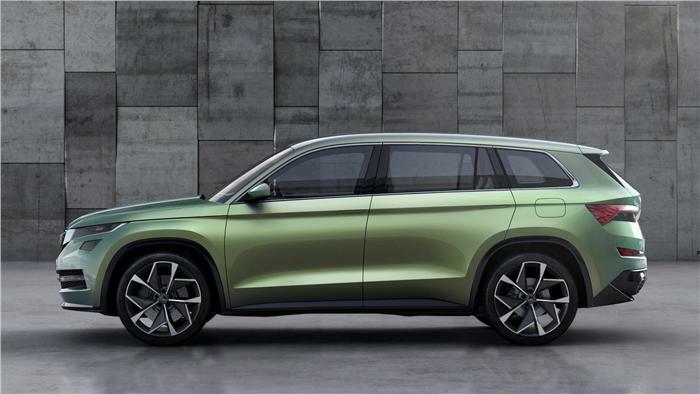 Skoda claims that the SUV is capable of sprinting from 0-100kph in 7.4 seconds and has an all-electric range of about 50km. Total range for the hybrid powertrain is claimed at around 1,000km. Expected to go into production as the Kodiaq, the new SUV from Skoda will be based on the MQB platform and will share most of its underpinnings with the CrossBlue set to launch internationally later this year. Power for the production car will come from four-cylinder engines seen in the new Superb, with a 1.6-litre turbo-diesel forming the base engine. A diesel-electric hybrid version will also be offered, and four-wheel drive will be optional on most models. 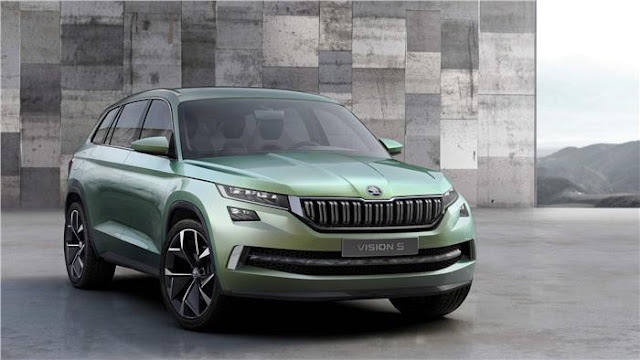 Beyond the large SUV, Skoda is working on a more rakish five-door coupé that is expected to join the range soon after the full-size version goes on sale. 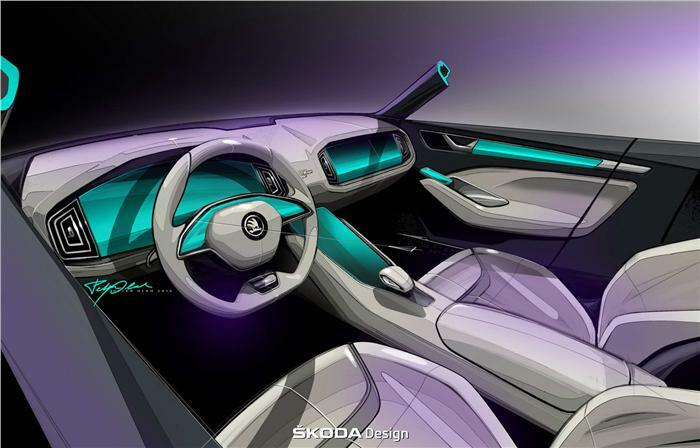 This will be followed by a sportier model with tweaked styling. The model to complete the SUV range will be the new Yeti, which is to go on sale in international markets, in 2018.